Additional Info: Parking for 2 cars, Fully glazed and gated veranda and private lawn/garden area to the side where you can use loungers. We have two pool loungers and parasol for use on the lawn. We offer the use of our Nespresso coffee machine with a selection of complimentary capsules. There is a hair dryer provided in the master bedroom. For your convenience we provide complimentary toilet paper, dishwasher tablets and washing up liquid, tea bags and where we are able to meet and greet we will provide some milk and bread to get you on your way. This van is strictly non smoking and No pets. Our holiday home is an impressive 41ft x 14ft ABI Ambleside Premier Mini Lodge located on one of the best pitches on the park. It benefits from having its own private glazed & Gated veranda, which takes advantage of the stunning panoramic coastal and sea views that extend from Dawlish to Portland bill. Our premium plot is located on the stunning Kestrel Way which is one of the quieter parts of the park. Our centrally heated Mini Lodge sleeps a maximum of 6 people with 3 bedrooms. 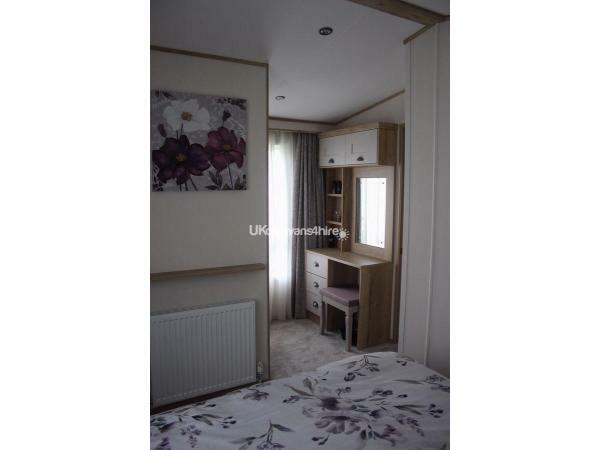 Master bedroom has a double bed with en suite w.c and basin and dressing area with hair dryer. Second bedroom has 2 twin full size singles. The lounge has as an electric glow effect stove. We have a 42" TV with built in dvd, with a selection of dvd's for you to watch. We have a DAB sound system that has bluetooth and can be connected to mobile devices and two 3 seater sofas. We have an Amazon Fire stick that can be used subject to the wi-fi availability that can vary at peak times even though we have a booster. Our fully equipped kitchen comes complete with Washing machine, Dishwasher, built in oven / grill & microwave & 5 burner gas hob with externally vented extractor. There is a beautiful family bathroom comprising shower, toilet and countertop sink. All pillows and duvets are provided, However, you will need to bring your own Duvet covers, Pillow cases & towels/ tea towels. 5. Check in on day of arrival is no earlier than 2pm and you must check out no later than 10am on your departure day. We have a key safe by the gate and a code will be sent to you on the morning of arrival to save time on queuing at reception. The keys are to be returned to the key safe on your departure. Additional Info: There is a a huge list of activities available on Devon Cliffs including, indoor and outdoor pools, restaurant, 2 entertainment clubs, large arcade, indoor bowling, sports bar with multiple TVs, large outdoor decked beer garden, archery, football, crazy golf, bike hire, launderette, private beach, chip shop, burger king, papa john's pizza (who deliver to your van) a starbucks, spar supermarket and much more. There is also South beach cafe situated on the cliff top, which has a lovely gastro style pub feel to it, with heated patio area overlooking the bay with breath taking sea views. Thank you for your feedback Richard. A pleasure as always. Look forward to seeing you again next year. 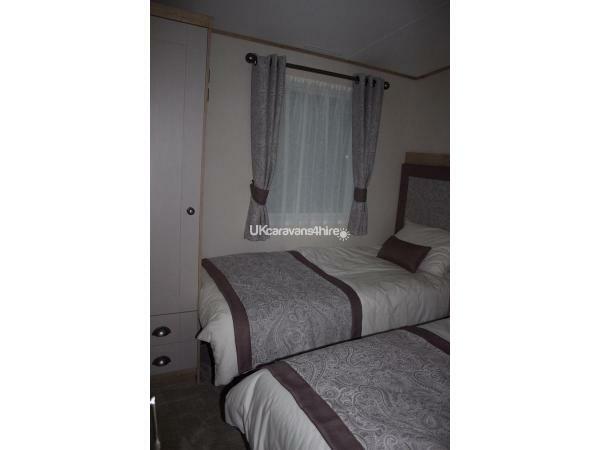 The caravan is located in a good high spot where you can overlook the bay, with excellent views. 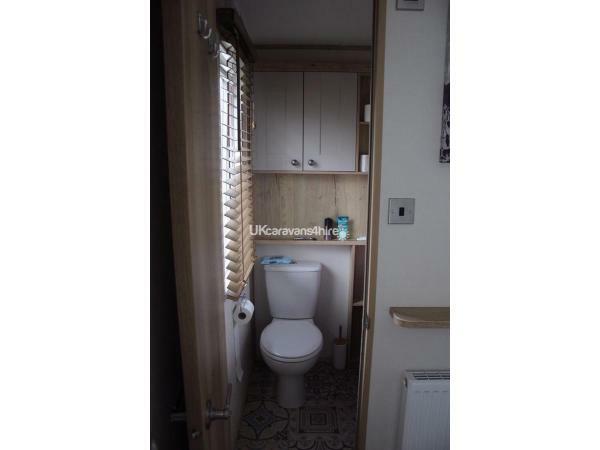 Apart from the deck area at the front which on a sunny day gives stunning views, but at the side of the caravan there is a private area with chairs and small table to relax with some soft drinks. Inside the caravan the beds were very comfortable to get a good nights sleep as well as the comfortable lounge sofa. It was nice to relax after a day out to sit in a warm homely clean lounge to watch the sun setting over the bay. 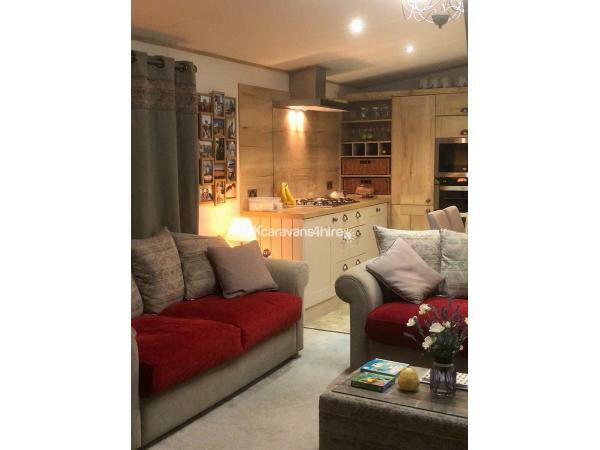 The kitchen has plenty of gadgets, to make a cup of tea and to cook your morning breakfast. 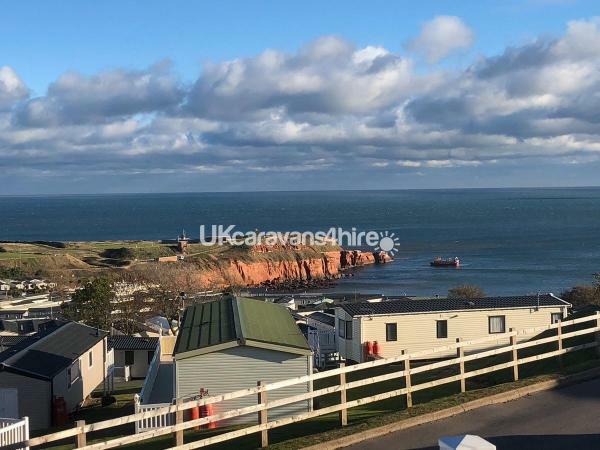 I would give this caravan a 5 star rating and definitely recommend other holiday makers to come and visit Devon Cliffs. 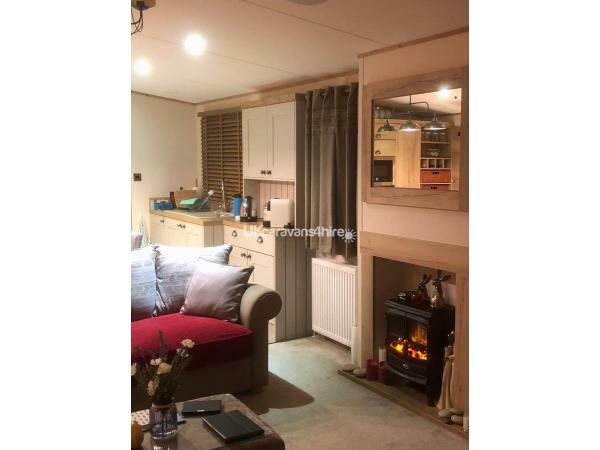 Its a lovely big caravan which is situated out of the way in peaceful area, this is by far the best spot as I've stayed in many caravans on this site. 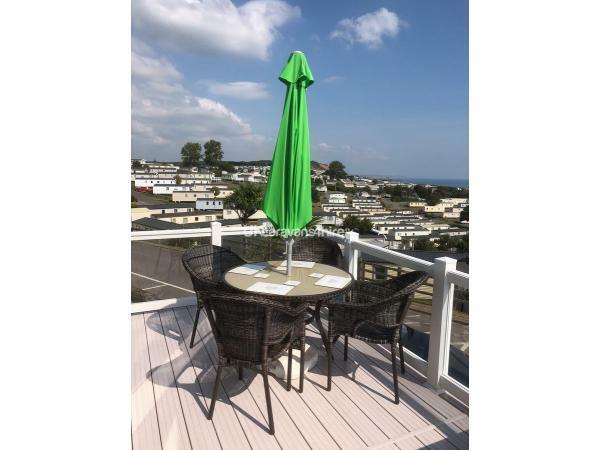 It's very clean and modern with a lovely decking area to sit and admire the amazing views over looking the sea. I will definitely be returning to this caravan in the near future. Cheers for the review Kirsty. Glad you had a good w/end. We had a fantastic holiday, the views were amazing and located on the quieter side of the park. The accommodation was 5* and felt like home from home with all the mod cons. We especially loved siting out on the decking area watching the world go by and enjoying the sun. Will highly recommend to family and friends and look forward to returning again. Thank you for your review Michael Glad you had a good time. Excellent location with beautiful views. Loved sitting out on the decking and watching the world go by. Caravan was absolutely stunning, well equipped and had everything needed. Would definitely recommend this to others. Thanks for the review Tina. We are glad you had a good holiday and look forward to seeing you again next year. 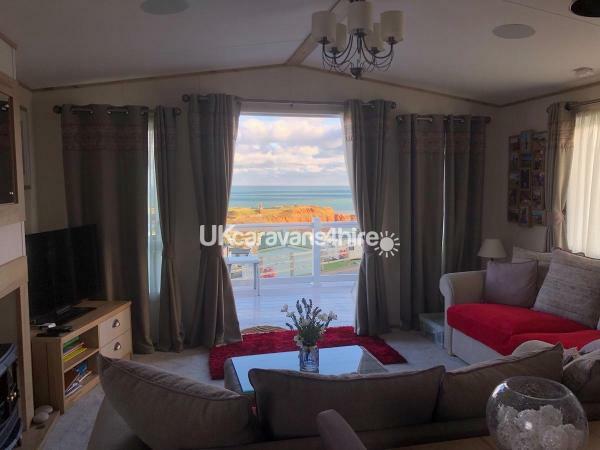 Caravan has excellent views and in a beautiful quiet location.Plenty of room and beautiful decor.The decking is the perfect place to relax and take the fabulous views. Thank you Elaine We are very pleased you had a great time. Your review is much appreciated.